If you have been reading up on the Anunnaki, you probably have noticed we spend most of our time trying to understand who and what the Anunnaki are. That is understandable. Who and what are big questions with many facets and plenty of mysteries to plumb, and it takes quite a lot of time and effort to piece together the answers. We spend so much time trying to figure out who the Anunnaki are and what they are that we don’t spend a whole lot of time talking about why they were (or are) here and why they may decide to return. If you think about it, this is quite curious, because it isn’t exactly as if Earth is brimming with cosmic significance, at least not insofar as we know. True, it could be, but it doesn’t take a lot of imagination to reckon this is just one tiny planet in a universe teeming with life. So let’s focus on that big question: Why? 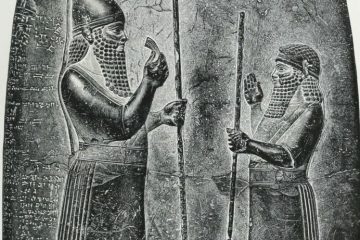 Why did the Anunnaki come here in ancient times? What do they want from us? What is likely to happen when they do eventually return en masse? It is hard to answer this question as well because the resources we have are so limited at this point. There are a lot of individuals who claim to know something about the Anunnaki, sometimes from personal experience—you will even meet people who claim to be Anunnaki. Maybe some of them are, but for the sake of this article, we are going to stick with more traditional and/or published sources. What Does Mythology Say About the Motives of the Anunnaki? I am writing this article with the assumption that you already have a pretty solid understanding of who and what the Anunnaki are. If you don’t, just peruse the articles on our site for a while and you will figure out the basics. The summary version is this: The theory goes that the ancient deities of Babylonian and Sumerian mythology—the Anunnaki—actually did exist. But they were not gods—they were ancient aliens visiting from a planet called Nibiru. As the ancients lacked the language to talk about other planets and species, they referred to these beings as deities. 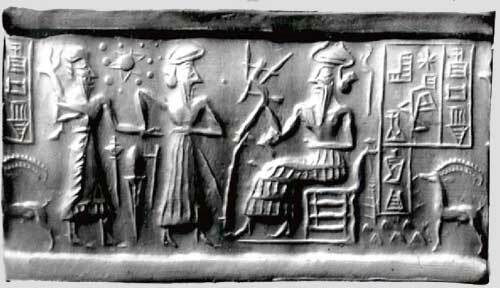 Now, the Anunnaki in ancient lore played many roles in relation to humanity and the greater universe. But one of those roles was as our creators. Essentially, maintaining creation was a lot of work. The gods grew fatigued with all the chores of existence, and some of them went on strike. Obviously this would have been a disaster, so a solution had to be found. One of the Anunnaki, Enlil, said he could end the strike—but in turn, the gods must name him their supreme ruler. So he came up with the idea of creating a labor force of inferior beings. Apparently Enlil either could not do this on his own or did not want to, so he had a chat with Antu, the mother of his half-brother Enki. Enki was sleeping through this entire affair, and apparently was highly suggestible in this state. Oh my son, arise from thy bed, from thy (slumber), work what is wise, Fashion servants for the Gods, may they produce their (bread?). Waking up, Enki thought he’d had a brilliant idea, and suggested to the gods that they create a race of slaves. Everyone agreed, so he got busy with a mixut ore fclay and blood from a slaughtered god. Working this together, he managed to create the first human beings. You can read more about Enki, Enlil, and the story of their interactions with humanity here. I think a cautionary note is due here however. It is way too easy to essentialize all Anunnaki as evil, cold, heartless, sadistic creatures. But Anunnaki are individuals, just like us. Some of them have different motives and personalities. Enki was actually reasonably friendly and benevolent toward humanity, even going so far as to save the human race from Enlil’s flood. So if the Anunnaki return, we can expect some complexity in their interactions with us. What Do Modern Theorists Believe? An examination of mythology gives us a pretty good idea of the attitude of the Anunnaki toward humanity, but none of it answers the basic question, “Why Earth? Why here?” We know they needed labor, but what for? 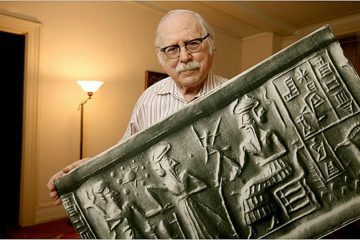 Those who believe the Anunnaki may have been alien visitors have various theories, but the most prominent one was proposed by writer Zecharia Sitchin, one of the most well-known ancient astronaut theorists. According to him, the Anunnaki came to earth to mine gold, but not for the reasons that we typically do. They didn’t need it to craft fine jewelry—they needed it to save their planet, Nibiru. 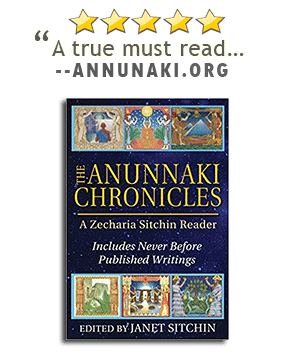 If you explore Sitchin’s works, you will find a complex timeline of events surrounding the mining process before the Anunnaki end up abandoning the planet. 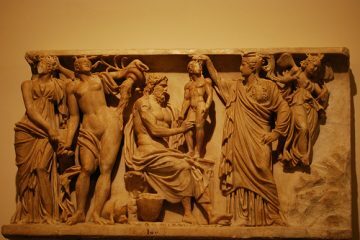 Over the course of hundreds of thousands of years, a complex drama plays out with many different characters—who we know today as Sumerian and Egyptian deities. In reality, most of these players were likely Anunnaki mining management. This having been said, the Anunnaki did seem to be curiously inefficient. You would think an advanced race could quickly determine the location of gold and extract it with ease from the earth. But apparently it took hundreds of thousands of years—and they obviously left a fair amount behind. It should be mentioned as well that it seems some Anunnaki may have mated with human women during this time, producing hybrid offspring. 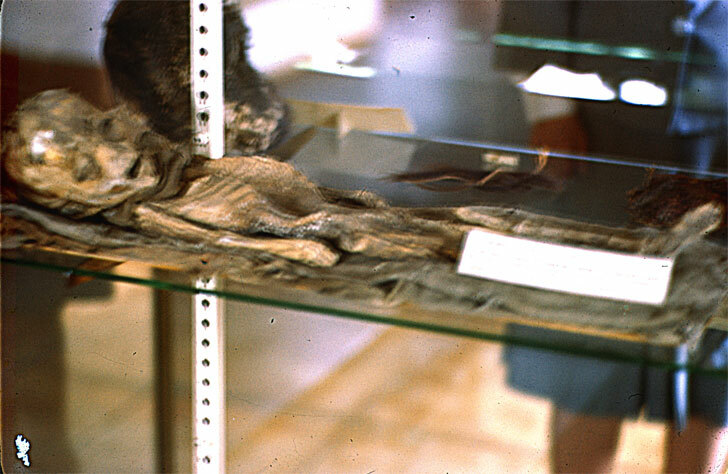 You can read more about this on our feature on the Nephilim. Gold. The Anunnaki require this to protect Nibiru from destruction. This is a basic survival need. Labor. The Anunnaki don’t enjoy labor, and prefer to foist it off on an inferior race. Energy. There are many suggestions that the Anunnaki lean toward rather cruel dispositions. Perhaps the energy of human suffering provides them with something they need (or want). Companionship. Clearly there is something about Earth women that intrigues the Anunnaki. It could also be that there were aspects of dealing with humanity that at least some of them enjoyed overall; there were even periods of peace while they reigned on earth, and some of them even gave power to human kings. 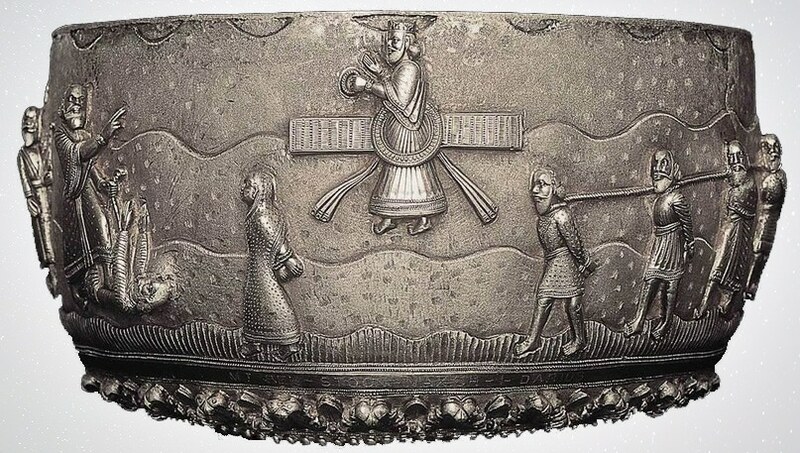 Why Are the Anunnaki Coming Back? The last question is of course the hardest to answer. Numerous indications point toward the imminent return of the Anunnaki. They could be coming back for more gold, for human slaves or companions, or simply to amuse themselves at our expense. It is also possible that they are returning for the ones they left behind; many believe that Anunnaki still walk among us today as reptilian alien shapeshifters. Another possibility is that they cannot help but come back, because Nibiru’s natural orbit routinely brings them within reach of Earth. What will happen when that day arrives? Will it mean a war for possession of the planet? Will Earth be destroyed by a new round of flooding brought on by the gravitational force of Nibiru? Will we be brought back to Nibiru as slaves? Or will we find a way to coexist with the Anunnaki? Only time will tell. Whatever the case may be, the more we can learn about the Anunnaki and their motives, the more prepared we will be for that fateful day when they do come back in our orbit. Very interesting. Were these giants Annuaki’s? Why isn’t there a bigger issue of these giants being covered up by the Smithsonian, I wonder? 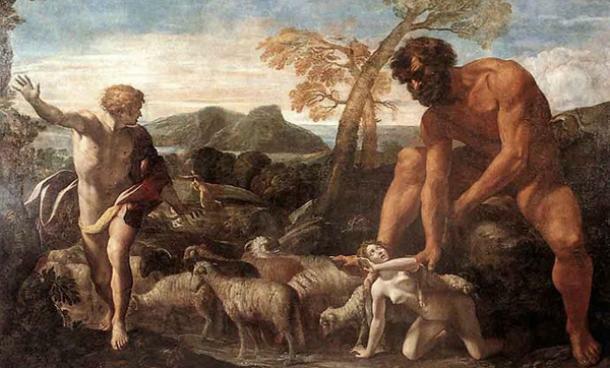 I think we all mix with the blood of annunaki or Nephilim sinse they mated with earthly being. I’m doing the rounds of the web sites at this moment, looking for information of the return of a planet. but worth a look at. I keep reading about Nibiru…..it’s so interesting to read on the internet…….I’ve been thinking about it and wonder all my life where we came from other than the human body of pregnacy……of how we got there to be born…..it a good question right…!….any animals specially Dogs knows what going they can hear and sence whats out there….im just saying we are all different from the Universe…! Funny to read people’s idea’s about the Anunnaki and what if they will come back. Mankind shouldn’t be worried about them. What you should be concerned about is who they defeated so long ago and how the Ancient Ones aren’t dead and still remain. Mummu Tiamatu and Apsu is the threat and I’m really enjoying seeing their kind kick your faces in! All of you we will be screaming the day they return. What are the so called scientist doing,there are huge skulls with cone shape structure and yet no DNA proof on line,just speculation. They tested to be humans with large amount of unknown DNA, if that isn’t odd enough, although found in South America they came from Europe – Middleast region. Sitchin said he thought they were here in 556 bc and thus return 3044 ad. Their winged star or cross will become visible 1000 years before arrival per Sitchen. In 26 years it year 2044 to see evidence of that star. Then many generations before arrival. What about september 23 this year? And CERN? Is it good or bad for mankind?is it ours ?or made for others? We all have noticed that a soft reveal is going on. UfOs in the sky, most block buster movies are of the type depicting extraterrestrial life, television programmes on about life not of this earth . These programmes would not be aired on radio or TV years ago due to the panic they could cause. the Vatican now agrees on life in the cosmos. Yes the Annunaki will return, before the end of this century to claim their possession, their property, the Human Race and they will demand and expect 100% obedience. If not they will think nothing of wiping out entire continents because we will mean nothing to them. We will probably just be seen as merchandise that will be sold has slaves throughout the galaxy. If man cannot stop fighting amongst himself and prepare for whats coming, then man is surely doomed. What drive’s me nuts is these people that meet these aliens, knowing that they are working with the shadow government, don’t bother to ask them if they are working with depopulation of this planet. If they are from planet X or Nibiru does their planet plan to distroy us or could they possibly divert it. Why are they here. Ask some question that matter! I listened to one of the first video’s and there was no place for a comment a d all they talked about was what they looked like and what had to eat ect. Waste of time. I would like to know what they the aliens and the government are hiding from us and what they have planned. Humans can’t seem to create without creating a creator first. 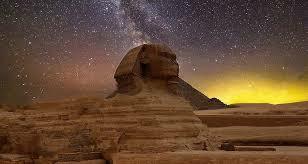 Supposedly, intelligent beings created and/or caused everything beyond heavens and rocks. What if, heaven and rock created everything by accident. And, like we have found, what begins must also end? Simple and very real natural selection. No Gods, no royal bloodline – simply aggressive and intelligent humans, leading and controlling the weak and uninformed by instilling fear. What if, those who had control, meant to keep their secret ways of gaining control, strictly among other truly intelligent humans. Where they came from (the same ocean as all humans) was to remain the ultimate secret. Greed and Ego, always our own worst enemy, created Gods and named them creators. Because of our own insatiable need to be accepted, we could not and would not stand up united and say – this is all a lie. I think they are dead. I mean, thousands of years ago they had already destroyed the equilibrium of their planet, why assume they haven’t done it again? If we are made in their likeness, and we are close to destroy our own world and race, with our meek technology (compared to theirs), it’s logical to think they annihilated themselves long ago. About the UFO’s, I believe those spaceships belong to other races. Friends or foes? Who knows, but the phenomena of abduction tells at least about their morbid curiosity in human physiology. Our creators made us, so why would they come and research about our race? Obviously they are well aware of our bodies, and their functions.. And if they are the ones abducting people, probably we are less than mere lab rats for them. Our biggest mistake: to believe we are special and the center of the Universe. We were made for mining for crying out loud! It would make more sense to think that nibiru is not a planet but a huge city like mothership. You should read the actual transcriptions of the cuneiform tablets in the books by thorkild jacobsen. The anu clearly came here living on a huge spaceship. It may also be that these alien travellers endured some kind of stasis which had them sleep through their journey. Our solar system is sterile save planet Earth. It follows by logic that the heavenly body that caused the asteroid belt in a collision must have hit Earth and fertilized it. 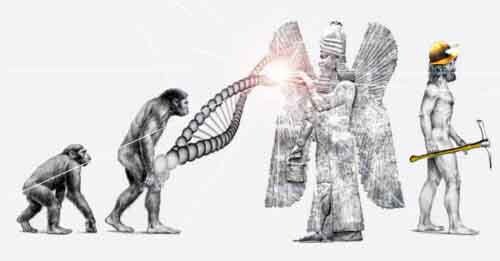 Millions of Years later the Elohim Judges evolved, came here and found that life on Earth was based on their same basic genetic core. Earth beings were compatible, which allowed them to mix their genome with Earthly beings …we are the result (a being far too advanced for this world)… Had the apes evolved into us, they would currently not be apes, they would be us… but they are backwards and primitive.